Who is Arcadia?… The band that redefines and challenges the "typical wedding band" template.You will be impressed by the depth of musicality. Compiled is an extensive repertoire that goes way beyond the usual songs you hear at almost every event. This allows a great amount of flexibility and the ability to make every party unique. As the bandleader I will work hand in hand with you to incorporate your song choices and provide you with suggestions and guidance, while utilizing our ability to fill a dance floor, connecting with everyone in the room from the moment your guests enter the room to the final note of the last dance. You can rest assured that as an experienced band leader, I will work closely with your maitre’ d, photographer and videographer to assure that none of your special moments will be missed. You will have the peace of mind knowing that every detail is in the hands of someone who will do everything to make your special day a complete success! Arcadia has had the pleasure to perform at literally thousands of weddings, corporate events, private parties and fundraisers throughout the tri state area at hundreds of prestigious venues including, The Waldorf Astoria, The Plaza Hotel, The Yale Club, Cipriani, The Lighthouse @ Chelsea Piers, Manhattan Penthouse, Brooklyn Bowl, Garden City Hotel, Oheka Castle, Hotel Bayerischer Hof in Munich, Germany, The Chase Hotel in St Louis, Chevy Chase Club, Chevy Chase, MD and virtually every Vineyard, Country Club, Temple and Catering establishment on Long Island. Arcadia has opened for Kool and The Gang and The Beach Boys, and performed with singer/actress Gloria Reuben and had the pleasure to share the stage with AC/DC’s Brian Johnson! Past and current clients include: The Boomer Esiason Foundation, Steve Madden, Channel 12 News, The May Company, Chilton Medical Center, Arrow Electronics, Nassau & Suffolk Bar Associations, NYU, Adelphi and Hofstra Universities. Gus has enjoyed singing and playing music since the age of five. His parents were quoted many times as saying that "Gus could sing before he could talk" and were instrumental in encouraging him to pursue a career in music. He studied saxophone and sang in the school choruses. He then went on to play guitar and bass in junior high school. His passion for music earned him a degree in music performance. Soon after he formed Arcadia and began his career as a band leader and the rest is history. Having had years of experience playing weddings and clubs Gus has also been hired to record lead and background vocals for numerous recording projects. Gus’ versatility and talent is unmistakable in his ability in any genre to sound just like the original artist. Soulful songstress, Tracy Brathwaite, born and raised in New York City. Her powerhouse vocals have been heard across the globe. Like many great soul singers of the past, Tracy fuses the best of Blues, Jazz and R&B. Captivating audiences worldwide, most notably in Italy, Japan, and London, Tracy has performed and been featured in many NY hot spots like The Bitter End, The Cutting Room, Arlene’s Grocery and BB Kings and 78 Below to name a few. Soulful house music was a natural and easy fit for this vocalist. “Oh Happy Day” produced by Frankie C and Victor Simonelli, is a club classic. She co-wrote and produced “I Don’t Wanna Let You Go” in London with classic R&B singer Junior (Mama Use To Say) in 2008. 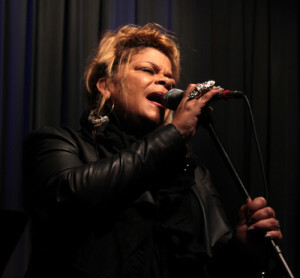 In 2012 Tracy was asked to sing the lead song for a house music documentary titled “Hands To The Sky”, she is the only featured vocalist on the soundtrack. In 2013, she joined forces with Honeycomb Music’s Josh Milan and they co-wrote “Smile”. Already championed by hugely talented producers and DJs such as Joe Claussell, Anna Komninou and Grammy award winner Louie Vega (Roots NYC, WBLS Radio New York,) Tracy makes her Winter Music Conference 2014 debut performing at Louie Vega’s Dance Ritual party. Her most recent release "For Kim", was co-written and co-produced by Tracy. Tracy brings it all and then some to Arcadia. When Tracy steps out into the crowd, you can be sure she will bring the house down! Chrissy has been singing for as long as she can remember, growing up in a very large musical family. 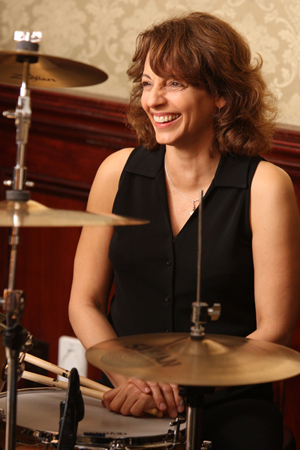 She has a background in musical theater and has performed with several popular New York area bands. She loves spending time in the studio recording and creating vocal arrangements, and has recorded with accomplished award winning songwriters. 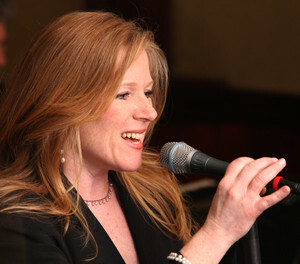 She has also performed her original music, co-written with grammy nominated guitarist, Steve Briody, in venues such as The Bitter End, Le Bar Bat, and BB Kings and has seen chart topping success as a singer/songwriter on Mp3.com and Reverb Nation. She sang on a multi market European television campaign for Vauxhall automobiles and is an accomplished voice over actor. She recently voiced a national television campaign for Baskin Robbins, and a national radio campaign for Toyota. She loves her Arcadia family, and is grateful for the opportunity to work with such a talented group! From Aretha to Lady Gaga, Chrissy truly can sing it all! Jimmy’s passion for singing began at the young age of 4. He developed his soulful sound early on singing in church and local community events. After appearing on Junior Star Search, he was discovered by Luther Vandross, who took Jimmy under his wing and wrote and produced his debut album on Elektra Records. Such notables on the album included Phoebe Snow, Irene Cara and Brenda Russell, to name a few. Music has always been a driving force in his life. Continuing to hone his song writing skills he teamed up with 131 Entertainment to write and co-produce a smash album alongside Dwayne “Whateva” Lindsey. He has performed in New York City’s hottest clubs including the Village Underground, Club Decade, Groove, Nell’s and Café Wha. With his unique voice and raw talent, he is one of the best vocalists in the industry today. Singing the latest chart topping dance songs, he will surely bring your party to a new level. 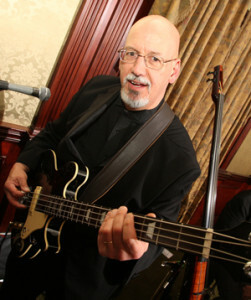 Tom is a New York based musician and vocalist whose recording and performing credits include Freddie Jackson, George Benson, Jonathan Butler and Tom Jones. 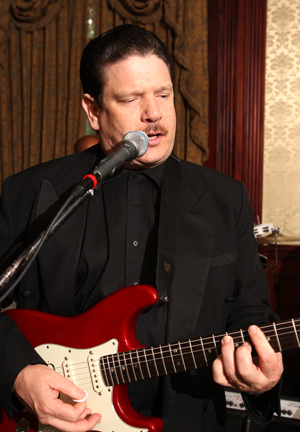 He continues to perform regularly in the New York metro area. Tom is also a public school music educator. Tom’s strong vocals from Sinatra to James Brown and amazing guitar playing are unparalleled. Jamie has opened for comedienne Paula Poundstone, The Count Basie Orchestra and shared the stage with G.E. Smith of Saturday Night Live. She has played venues such as CBGBs, The Cutting Room, Stephen Talkhouse, Highline Ballroom, Cafe Wha?, BB King‘s Blues Club and Lucille’s. Other projects include original and cover bands, local TV appearances, recording and touring. Jamie’s solid backbeat and passion for drumming rounds out the talented Arcadia rhythm section. 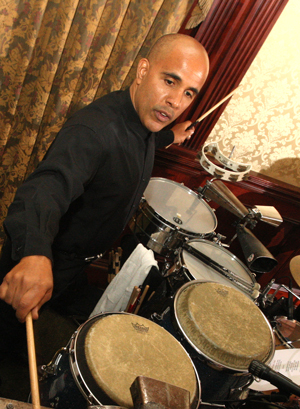 Richard has performed in various musical situations throughout the United States and internationally.He was the percussionist with Clint Holmes’ nightly television variety show, working with such artists at Tito Puente, Lucy Arnaz, BB King, Richie Havens, Edie Chacon, Diane Reeves, Lorna Luft, Freddy Jackson, Melba Moore, Kenny Rankin, Harold Melvin, Toots Theilmans, Cab Calloway, Wilson Pickette, Nancy Wilson, Low Rawls, Eddie Torres Dance Troupe, Sandy Patti, Mose Allison and many others. He has performed in varied musical settings including Off-Broadway theaters, Radio City Music Hall, Nightclubs, Casinos, Cruises and Festivals, with artists such as Clint Holmes, Bill Cosby, Joan Rivers, Ben Vereen, Neil Carter, Raquel Welch, Little Anthony, The Fifth Dimension, Brook Benton, Mary Wilson, and others. Richard is currently teaching at the Long Island Drum Center, giving his insight on various concepts in stick and hand drumming, and also extensive systems in sight reading. With his energetic style and talent, Richie completes the Arcadia sound. 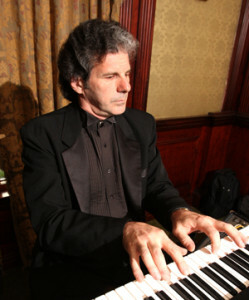 A pianist since the age of 6 and a bassist since age 15, Peter Saladino earned his BA at York, Queens and Brooklyn Colleges of CUNY, and his Masters in Music Theory at C.W. Post/LIU. While still a student, he was involved in several projects in jazz, bluegrass and folk-rock genres. 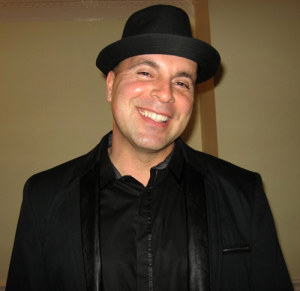 Since the mid-1980s, he has worked as a music educator in New York City and in various Long Island localities, contributing choral and orchestral arrangements to his own groups and those of his colleagues. 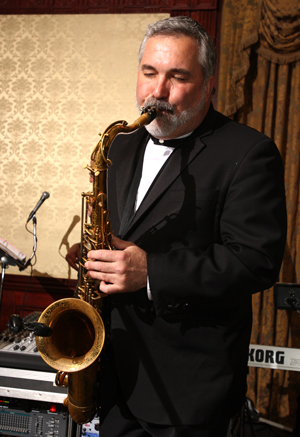 He is currently the Director of Middle School Orchestras in the Wantagh, NY. Peter brings all his experience to Arcadia with a groove and foundation like no other. Jimmy Yaeger, Professional musician and composer(for films, orchestra, etc. ), has been signed to Capital and Motown records with the band "Flight" which he Co-Founded. He has played with Cyndi Lauper, Ozzy Osbourne ,Bill Ward, Jeff Berlin, Ric Astley, Silver Convention, Billy Squire, The Drifters,The Tramps, Defunkt, Stu Hamm, Anton Figg, Matt Sorum, Joe Satriani, and Zak Wylde to name a few. He studied Film composition and Orchestration at UCLA with Don Ray & Mark Waters from 1986-1988. He also studied orchestration with Chris Palmaro and Mike Patterson back in New York where he lives. He’s done Feature films, local TV and jingles. He recently finished with his contributions to the score for Night of the Templar starring David Carradine and is currently working on The Gauntlet starring Bai Ling and Dustin Nguyen. Jimmy’s ability to capture the authentic sounds of the latest dance hits is unsurpassed.